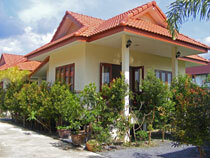 This Villa is located in a quiet residential area in Bang Por, in the North of the island of Koh Samui. 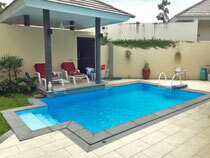 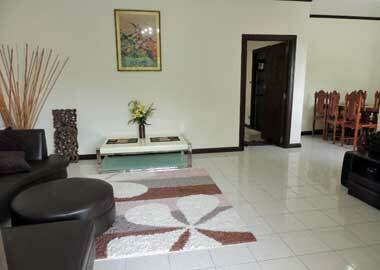 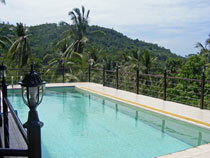 This Villa is located in a quiet residential area in Lipa Noi, in the West of the island of Koh Samui. 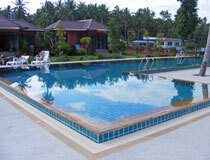 This Villa is located in a quiet residential area in Maenam, in the North of the island of Koh Samui. 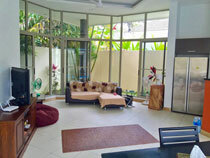 This sea view Villa is located in a quiet residential area in Bang Por, not far from the beach, in the North-West of the island of Koh Samui. 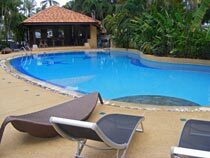 This Villa is located in a quiet residential area in Bang Rak, not far from the beach, in the North of the island of Koh Samui. 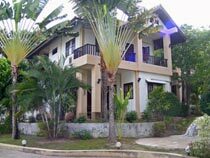 This spaciouse, 200 sqm., sea view Villa is located in a quiet residential area in Taling Ngam,, in the South-West of the island of Koh Samui. 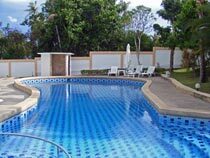 This spaciouse Villa is located in a quiet residential area in Choeng Mon, not far from a nice beach, in the North of the island of Koh Samui. 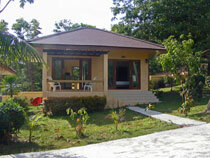 These newly built modern designed bungalows are located in Chaweng, in the North of the island of Koh Samui. 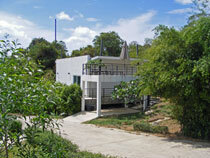 This house is within a small resort, located in a quiet area in Taling Ngam, in the South-West of the island of Koh Samui. 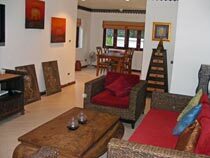 This modern designed bungalow is located in a quiet residential area in Lipa Noi, in the West of the island of Koh Samui. 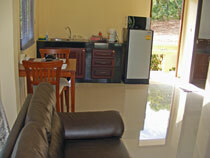 From there it is only a 10 minute drive to the next beach, and to Nathon the islands capital city. 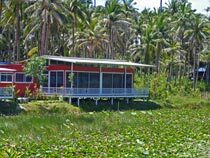 This newly built modern designed bungalow is located at a lake with clear water and a rich fauna and flora in Tong Yang, in the West of the island of Koh Samui. 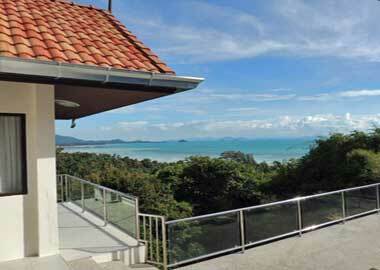 This modern house with lake view is located in Thog Yang, in a quiet area in the South-West of Koh Samui. 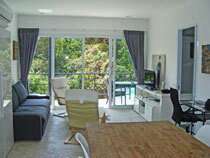 The nearby beaches are sandy and restaurants and small shops are in walking distance. 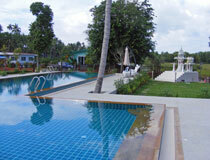 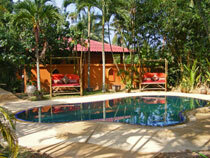 SL Villas are located in Lipa Noi, a quiet area in the West of Koh Samui. 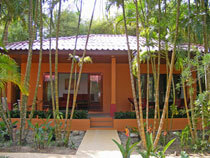 Restaurants and small shops are nearby and Lipa Noi has nice and sandy beaches which you can reach within a few minutes by bike. 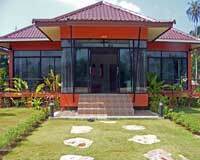 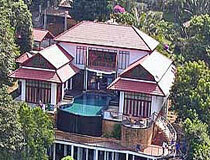 The well kept house lies on a lush green hill in the Ban Makam area. 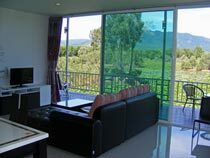 From this very quiet place you have a fantastic view onto the offshore islands, the harbor of Nathon with its fishing boats and the often spectacular sunsets. 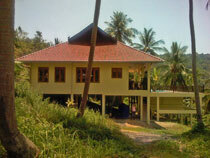 10 minutes drive to Nathon for shopping. 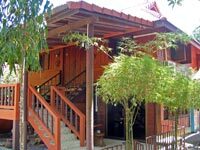 This Thai style timber house lies in the very quiet area of Ban Taling Ngam in the West of Koh Samu with beautiful sunsets.